Contact us for orders of more than 15 copies. An absolute must for all teen aged drivers. 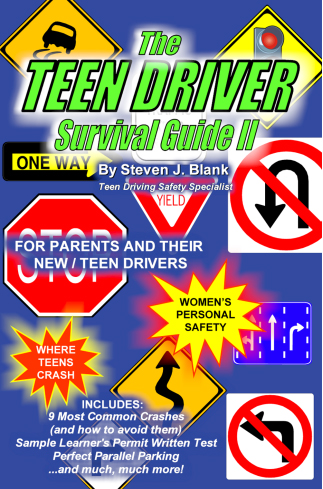 This manual will help your student and new driver learn the ins and outs of driving safely and competently. From the parents’ point of view, the driving privilege is a “gateway” to many new areas of vulnerability for their teens. Prime amongst them is the specter of violence near, in and to and from the vehicle. Women’s Personal Safety experts agree that younger women-in particular – are more vulnerable because they have less life experience. 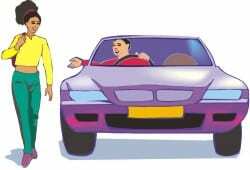 Tip-offs, signs and clues that would go unnoticed to the uninitiated. What To Do – Ask yourself, “What is my mindset and, most critically, what is that of my teen?” Is she a little scattered, prone to distraction, and overly trusting? According to experts, this makes her a prime candidate for attack. Next – Change Your Way Of Looking At This Issue – As a condition of licensure insist on your student getting her/his ”masters” in car assault prevention. Agreed, we live in compromised times where this is a prime consideration, but we must adapt to the new reality and safety groups state that education and awareness” is the answer. Getting Your Head Together – The North Carolina Governor’s Crime Commission states that your mind-set, how you look at the issue, and the decision to be proactive in your own prevention, is the most overlooked element in becoming safer around your vehicle. 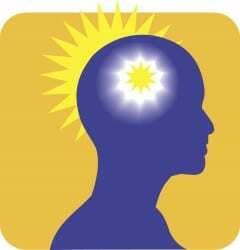 ATTITUDE – Be determined this is an issue I can control by increasing my awareness/education. CONFIDENCE – With the best information available, researching the experience of others, and being prepared – I will feel safer (and any potential assailant will sense this). PREPAREDNESS SCENARIOS – Outline situations in which danger may be present. Prepare yourself with things to look for, recognize these elements if they present themselves. CAR MAINTENANCE – Car maintenance makes the difference. If you don’t breakdown, you avoid many dangerous situations. Knowing the pre-breakdown warning signs, and, what to do if you do breakdown can make all the difference. AWARENESS – The “bad guys” are on the offense and, unfortunately, have an advantage of knowing where they are going. You have more tools: employee parking lots, surveillance cameras, keys and car positioning just to mention a few. By comparison, the assailant has only a few. COMMON SENSE – Have straightforward discussion with parents and mentors. Know what is dangerous and what is not. Running out of gas in today’s cars can cost you a heck of a lot more than just a tank of gas. 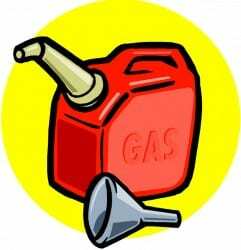 Here’s the scoop, the fuel pump on the majority of cars since the 90’s is located in the gas tank. Simple science, and lower quantum mechanics means that constant motion creates heat; this pump relies on fuel to keep it cool. When you run out of fuel the pump overheats and seizes, – car jargon for melds together from excessive friction. 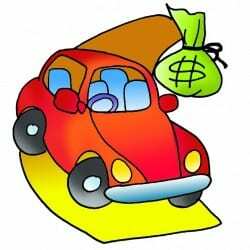 This system breakdown will result in a fuel pump replacement, which can run $500-525 you will need to buy a new tank of gas. Today’s cars are loaded with electronics. Some have as many as 25 computers linked to one diagnostic computer. A big mistake seen at my shop is the installation of an after-market sound system into a vehicle. Here’s the deal; an installer will put a stereo system in your car, giving you that thumping radio that is so popular today. However, without the wiring diagram that is specific to your car, he could hook into the wrong wire, blow the darn thing up, and BOOM! $800 repair – new computer. Leave this maneuver to a professional installer who knows your car. 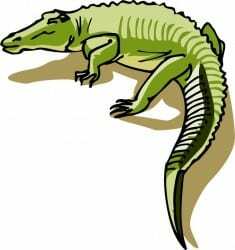 In the auto repair business we call a job that is not going well and eating shop profits an “alligator”. Well, there was the day we had an actual alligator in our shop. But let me back it up a bit. We have a diesel technician that works for us part time. He is Mike Ralbovsky, Mike is the owner of Rainforest reptile shows, visit his web site, its very interesting, informative and fun. One day, Mike was putting in a water pump, took a break and brought in his four-foot alligator from the truck to show it around. The alligator was named “Fluffy.” As Mike was showing how well trained Fluffy is, out of his arms the alligator slipped, and the fun began. All shop doors were shut down with a crash. A chase ensued. Good old Fluffy raced like Dale Earnhardt Jr. in lap traffic at Rockingham Speedway. Under the benches, air compressors, corners with large parts, every corner that the Fluffster knew man could not go. This crocodilian was way too fast for us. Finally, Fluffy made his first error. The smell of food lured the crock into the galley at our shop. Slam! The doors were closed. Now, it came down to a one-on-one, mano-e-mano, battle between the crock and it’s master, Mike. Calling upon his earlier days as an alligator wrestler, Mike, subdued the Fluffy. To this day, when we say we have an alligator in our shop, we think of Fluffy. Plus lots of Sample Permit Tests, and hints for passing your Permit Test on the first try.